Investment properties here commands high prices commensurate with a well-established market and reliable long-term appreciation, as evidenced by one office property, The Harbors, currently for sale. 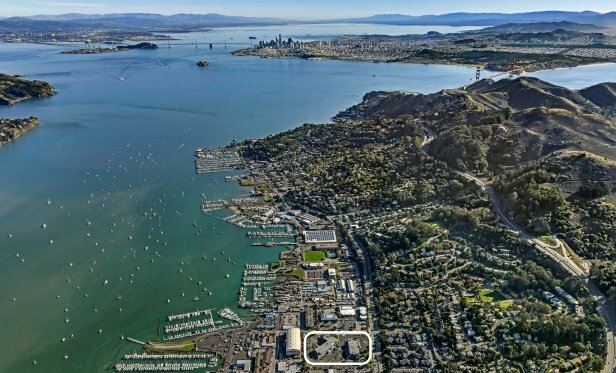 The Harbors is a two-building office campus at 1 and 3 Harbor Dr. that is currently for sale in Sausalito. SAUSALITO, CA—Marin’s long-standing tradition of investment in technology, sustainability, industry and the service sector has created a specific niche in the Bay Area. And, Sausalito is popular with Bay Area and Marin-based companies seeking a transit-friendly location near the wealthy residential enclaves of Tiburon, Kentfield, Mill Valley, Belvedere and Ross.